The polar properties of Resysta allow for the perfect adherence of stains and sealer – the perfect precondition for long-lasting color design of Resysta material. Color chipping and flaking of the Resysta surface cannot occur. The stains contain color pigments of the highest quality standard and are not destroyed by UV-light. Products treated with Resysta stains and sealer display almost no visible changes even after a period of 10 years. Therefore, elaborate refinishing sanding and staining of the facade is not required in the long-run. Choose from six standard colors or additional 24 special colors. For a very exclusive look, we developed “Prestige Finish”. With a proprietary finishing process we managed to develop an exotic wood look on Resysta material which imitates the look and feel of the rarest and most expensive hardwoods in the world. It’s special – No other wood substitute is noble like this. Check it out! RSW, Resysta product specialist, is introducing the new prestige color series. 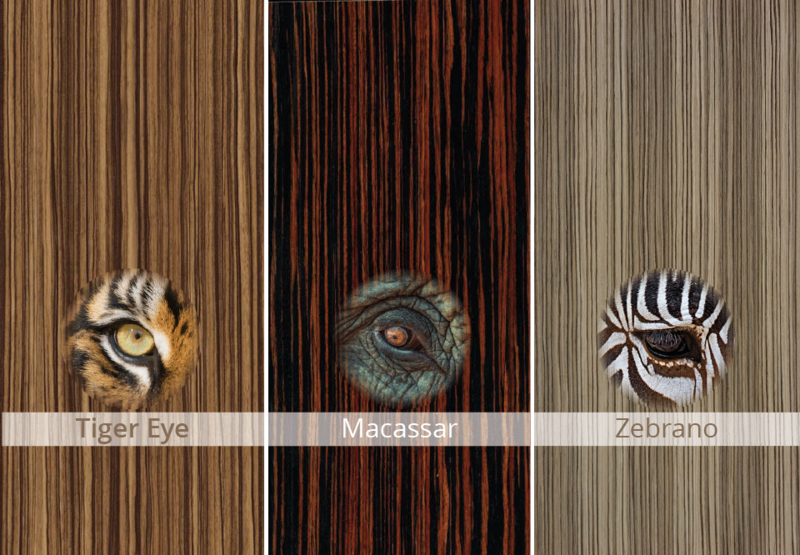 With a proprietary finishing process we managed to develop a wood look on Resysta material which is imitating the look and feel of the exotic, very few rare and most expensive hard woods in the world. To enjoy the beauty of these special woods, no tree in the rain forest will be cut nor harmed. Instead this special and patented composite material Resysta is made of rice husk, mineral oil and rock salt and is produced locally in the USA. Further the Resysta material requires ultra minimum maintenance and has a limited warranty of 25 years for residential (15 years commercial). Your beautiful deck or façade made of Resysta will not swell, crack, splinter or grey like unfortunately any wood after years or even months.